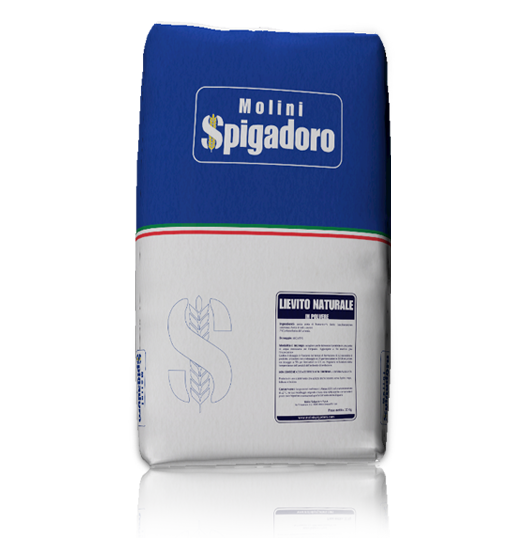 Molini Spigadoro yeasts are the ideal products for ensuring an excellent fermentation when processing doughs in artisan and industrial settings. Natural yeast is a fundamental element for making leavened products, especially bread, pizza, focaccia, croissants, brioches and highly leavened products like Italian special occasion cake, such as panettone, pandoro and Easter dove cake. The range includes wheat sour dough, yeast (saccharomyces cerevisiae), malt flour and enzymes in a powdered form which makes it easier to measure out based on the leavening times. The “biga” yeast is ideal for preparing all types of bread without using brewer’s yeast. It replaces the “biga” starter dough, guaranteeing the right level of acidity and giving the product the characteristic smell of mother dough. The excellent quality of the yeast implies preserving a pleasant, unmistakeable scent of genuine, natural fermentation. 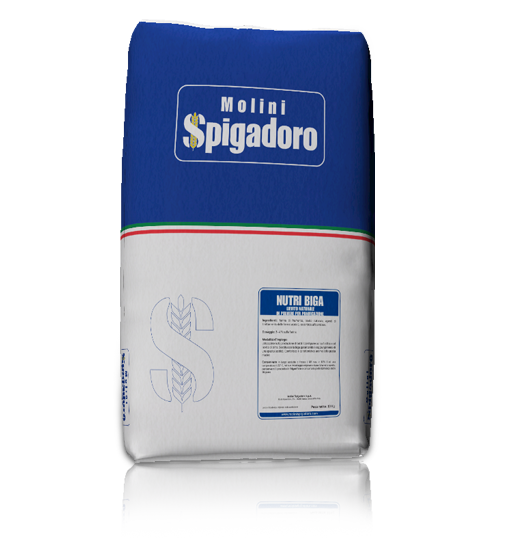 Molini Spigadoro yeasts, in handy 10 kg packs, are the ideal ingredients for producing professional oven-baked products with a distinctive, intense aroma. The powdered formula gives it a long shelf-life. Can be used in the production of all types of bread without using brewer’s yeast. Wheat sour dough, yeast (Saccharomyces cerevisiae), malt flour, enzymes.